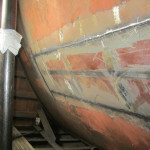 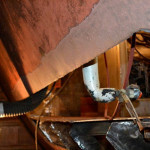 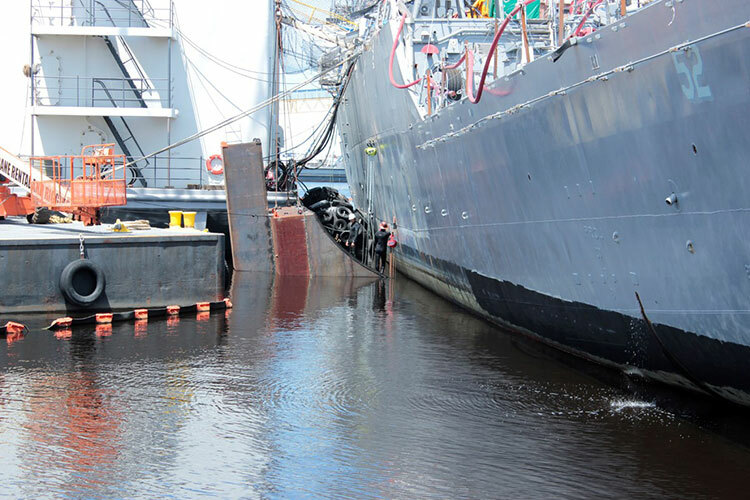 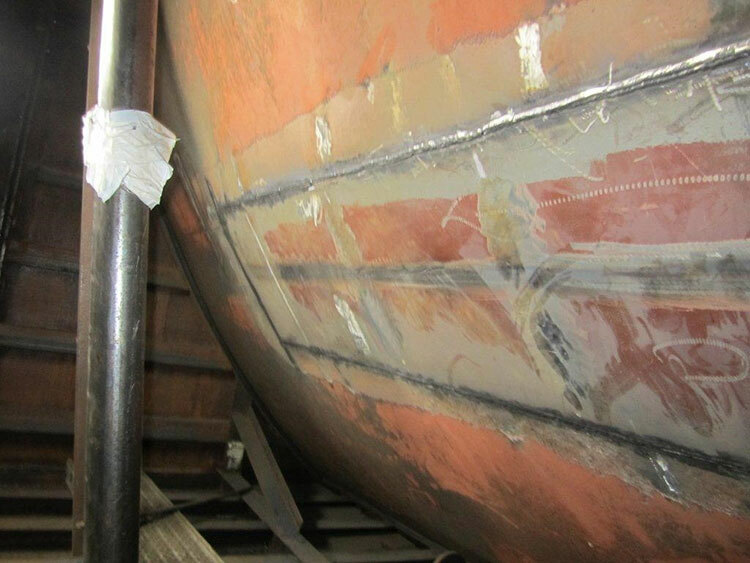 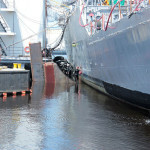 Naval vessel needed to remove 20" tall x 12.5" long area of hull shell plating located 12 feet below the normal waterline. 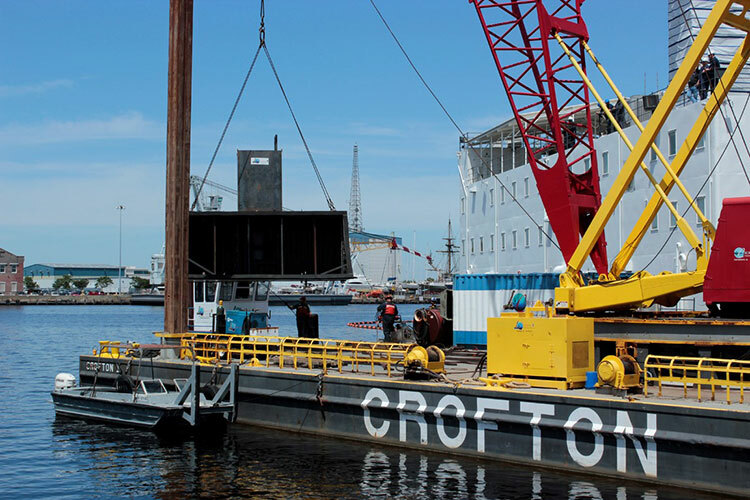 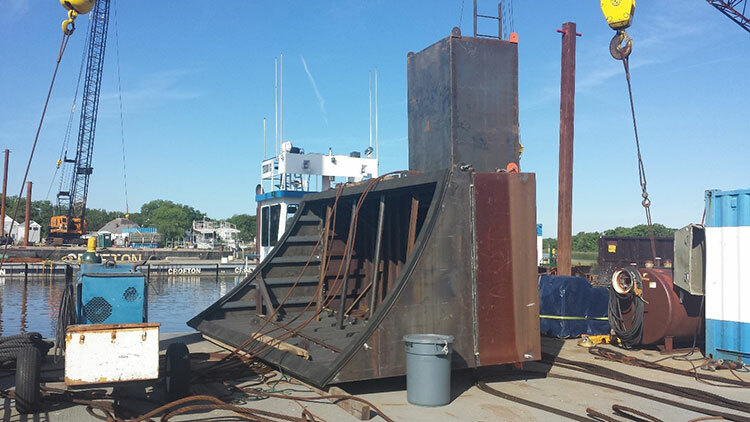 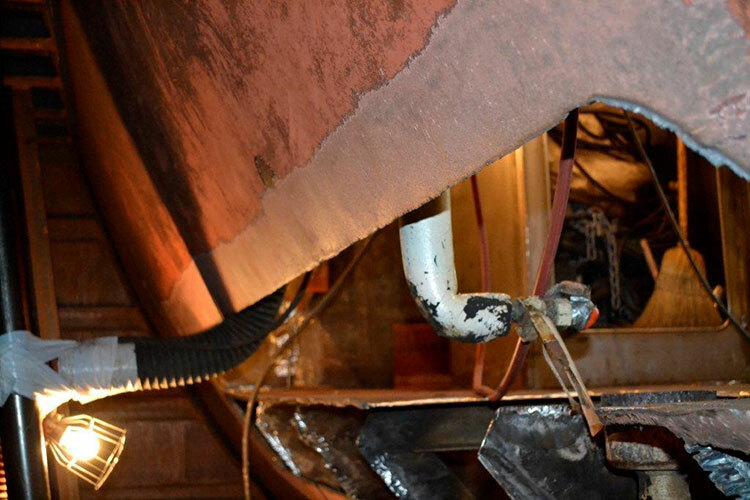 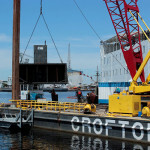 Crofton controlled the design, manufacturing, and installation of the top side accessible cofferdam to allow workers to cut out and replace the shell plating. 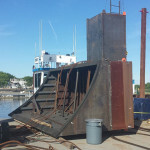 Ship's husbandry (cofferdams), heavy machinery.